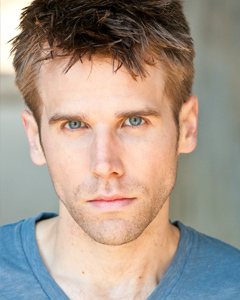 Based out of DC, Evan has been acting professionally in theatre, film, and television for over a decade. His stage credits include work Off-Broadway in New York and regionally at the North Carolina Theatre, New London Barn Playhouse, and Everyman Theatre. DC area credits include productions at the Kennedy Center, Ford’s Theatre, Signature Theatre, and Shakespeare Theatre Company among others. He is a two-time Helen Hayes Award Nominee for his work on DC’s stages. He has appeared on film in multiple independent features and was seen on TruTV’s Missing Persons Unit as well as in commercials for Tire Van and IKEA. Evan also regularly performs, tours, and records cast albums with the political satire group The Capitol Steps. He is a graduate of Catholic University and the London Dramatic Academy. He has taught acting at the National Conservatory of Dramatic Arts, Howard Community College, and many DC area theatres.